Simple and easy Mexican. A spicy mix of chilli, beans, diced tomatoes, capsicum and flaky tuna. It&apos;s real food, fast. Tuna (25%), Tomato (20%), Water, Onion (10%), Red Capsicum (6%), Kidney Beans (6%), Tomato Paste, Sweetcorn (3%), Garlic, Soybean Oil, Spices, Chilli (0.5%), Vegetable Broth, Thickeners (1442, 415), Salt, Herbs. I was lucky enough to receive two tuna pouches to review and I think between both of them this is the one I was most looking forward to try. 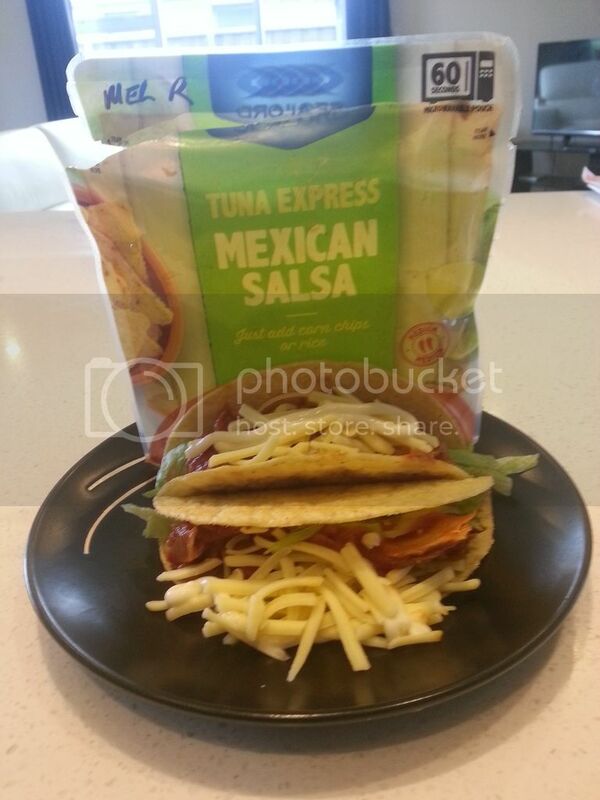 Tuna and Mexican is two of my favourite foods! Checking out the packet the list of ingredients certainly had everything you needed in it for a great Mexican taste. The instructions were easy enough rip the packet open an inch and throw it in the microwave for 60 seconds. Making it a quick and easy lunch on the go. I decided it would be the perfect to use with the corn chips I had leftover from last nights dinner. So I cooked it as per the instructions and threw it on a plate with corn chips and a little sour cream. 2 minutes from start to finish and I had a nice hearty lunch to tuck in to. It was so easy and simple making it the perfect work lunch. As soon as I opened the pouch the smell of good Mexican food came shining through. Pairing it up with corn chips and sour cream was a good choice. From first bite I was impressed it tasted just as I expected it too. Their was a lovely hit of chilli which to me was just the right amount of heat. 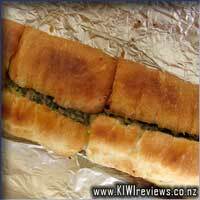 I think I have a new favourite, I have since been out and brought it again and tried it in wraps and also with a nice side salad. 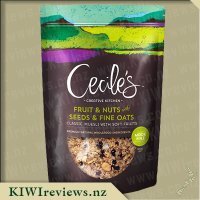 The pouches are such wonderful value for money and a must have for any pantry. So I received 3 different flavors of these sealord tuna products to try which was awesome. With the first 2 tried n tested already I figured I had this sorted. Grab, peel to open, pop in microwave, budda bing budda boo and she&apos;s done! So so easy. Yeah, nah! Not this time :( Unfortunately for me somewhere during the heating process the packet fell over without my knowing and tuna exploded everywhere. This is the third flavour of these tuna pouches that I&apos;ve tried, but the first that I&apos;ve had as a quick at-home lunch rather than taking to work. Therefore I prepped it a little differently than previous sachets... more to the point, I actually followed the instructions! It suggested cooking in the pouch as a microwave method and I really wanted to try that out, so tore the top off to vent the steam. Then I re-read the instructions and realised I was only supposed to tear it an inch - oops! I decided it wouldn&apos;t matter, but watched it carefully as it cooked to make sure the packet didn&apos;t fall over and I&apos;m pleased to report that it didn&apos;t. The one minute suggested cooking time was perfect and I had piping hot tuna to tip onto my plate. I&apos;ve eaten previous flavours with rice, but I always found the meal size ended up a bit big for me as these pouches are very generous, so this time I tried something different. It occurred to me that corn chips and sour cream would go really nicely with this flavour, but I didn&apos;t have them available, so I put it with a couple of warm buns filled with cheese and some lettuce on the side as I felt like adding some summer freshness to it. As soon as I looked at the meal on my plate, I could see that it had a really authentic Mexican feel with big chunks of tuna, whole kidney bean and corn pieces. It advertises itself as medium and I felt like this was about right. It was perfect for my palette, but I think my husband would have found it a bit spicy, although tolerable. It had an authentic Mexican taste, with a decent amount of sauce, and I can&apos;t really find anything to fault it on. 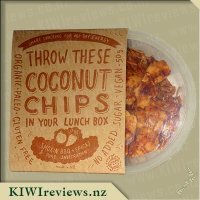 At $2.49, these are a great lunch option and I&apos;d definitely buy these again, although this one wouldn&apos;t have been my favourite flavour, I do like the fact that it would work so well with chips and cheese that it would be such an easy one to take to work. And of course it&apos;s much cheaper than popping down to a cafe for a Mexican meal! I actually think you&apos;d get away with it instead of regular nachos for a 2-person dinner too, especially padding it out with nacho chips and so on. I recommend giving these a go for sure. There are days I really do not appreciate having false teeth. Not that there are days I do appreciate having them, but some days are far more annoying than others. The night I got to try this was one of them. SO many lovely flavours and it was painful for me to eat because of chunks of tuna, sweetcorn, chunks of capsicum and kidney beans that were a little bit firmer than my old gums were OK with. Gotta say, these are all issues caused entirely by my age and lack of dental existence. If the chemo hadn&apos;t shrunk my gums my dentures would still fit snugly and this would have been a far more pleasant meal I am certain. 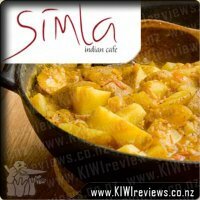 So, don&apos;t go taking the complaints by this old Koro as a bad reflection of the taste and high quality of this meal packet. It is really quite good for a Mexican dish, but on top of all the health issues, I am just not an enthusiastic fan of Mexican cuisine. Never got a big taste for it in my youth, but I&apos;ll eat it if I feel in the mood for something different that the bland and pasty pap they serve me in here most days. Dying of bowel cancer is a really good way to reduce your menu options. Couldn&apos;t have this on rice - stupid low-carb meal plan - so had to have it straight out of the pack but I had the great pleasure to share this with a lovely nurse who did the cooking duties for me. Oh I tell you, if only I was 30 years younger and not on my last legs... but there you go. She was able to enjoy hers on rice and said that she felt it really was a good meal that way and a full pouch with rice would easily serve 2 adults, three if they had something else to go with, like some steamed veges on the side. Not a bad dish by any measure but not one I would repeat, for purely personal reasons. Even though "tuna" is not a protein I would immediately jump to at the mention of Mexican food, if you like Mexican flavours, you will probably still enjoy this one. We love Mexican food in our household and we tend to have a Mexican inspired dish for dinner at least once a week, whether it be nachos, tacos or burritos. 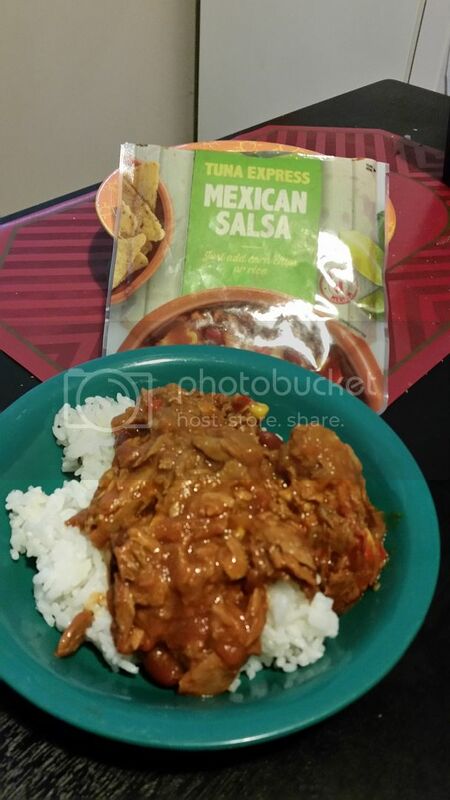 When I saw this product come up for review I have to be honest and say I ummed and ahhed about it for a while as while I love Mexican food, I haven&apos;t had the best experiences with tuna dishes in the past. 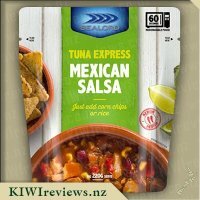 I decided in the end to bite the bullet and request the Tuna Express Mexican Salsa as I thought it was worth trying out, and you never know it might even change my mind about tuna which I can quite happily say it did! The packet itself was really eye catching, I loved the contrast of the bright green panel with a very life like picture of the packs contents. 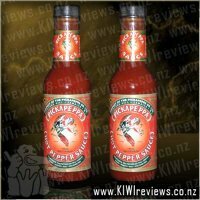 Seeing the heat rating on the front showing that this product is of medium heat I was really hoping it wouldn&apos;t be to hot as I&apos;m not one for super spicy food. 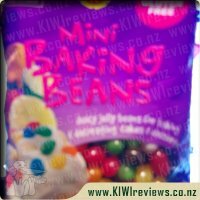 I had a look through the ingredients list on the back and was rather pleased that these were a majority of &apos;real foods&apos; rather than a heap of added colours and preservatives. The packaging was super easy to tear open, and I absolutely loved the fact that pouch of tuna was microwavable, saving on dishes is always a plus! Within 60 minutes of heating the pouch of tuna in the microwave high it was steaming hot and well heated through, and I was pleasantly surprised by the very generous ammount of contents in the pack. I used the tuna to create a quick and tasty lunch by simply heating some crispy taco shells in the oven and filling these with shredded lettuce, diced cucumber, some of the mexican tuna, all finished off with a squirt of lemon mayonnaise and a sprinkling of cheese. After having made four tacos up 2 each for my Mum and myself, and even after serving a small amount up on top of some left over cooked rice for Miss 3 there was still half a pack of tuna left. 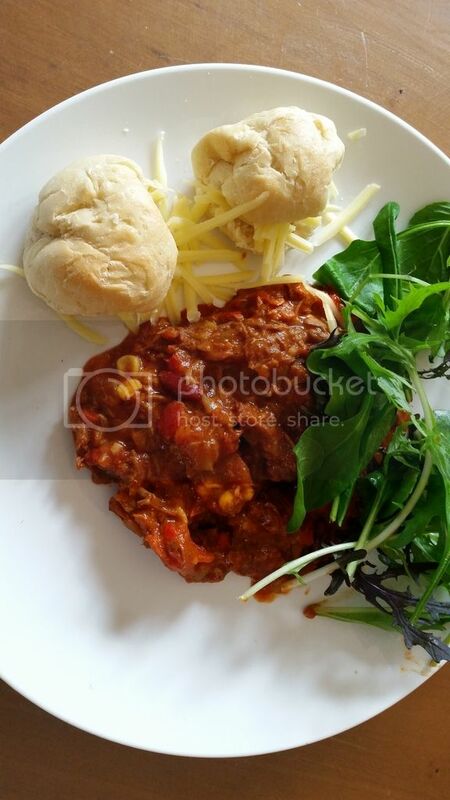 My Mum and myself really enjoyed having the tuna in tacos for a nice change and thought it really gave a nice kick which complemented the other flavours nicely, I loved the additions of the kidney beans and the sweetcorn to the mix, as this provided extra texture and flavour. Miss 3 even though she said she didn&apos;t like it can&apos;t have thought it was that bad as she gobbled it down. With the rest of the tuna we enjoyed this for lunch again the next day, this time served with microwavable rice, which tasted just as good served in this way, especially with some sour cream mixed through it to make it lovely and creamy. My Mum has loved the tuna so much that she has already stocked up on several pouches of various flavours to take back home with her. Sealord you have shown me that tuna really doesn&apos;t taste that bad at all, when it is packed full of flavour and used in exciting ways. 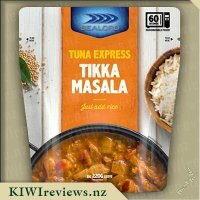 This is something I will be keen to try more of as it is so quick and easy to prepare perfect for lunches or as a quick dinner, especially at such a great price. I enjoy a bit of a kick with my food on occasion but my kids tend to like the non spicy version so getting this to review was a good compromise. The packet looks like a good size and the serving suggestions is a nice touch, since I have heaps of rice it was a good way to test it. I think the heat indication was rather cute so you know if you are at risk of burning your taste buds. I struggled to be able to read the instructions on the back of the pack, a combination of the colour scheme and the size of the writing so I guessed at how long to heat it up for. Since this is supposed to be hotter than the Tai Red Curry I thought to have it but to give my kids a small taste. Mr 6 asked for some on his rice, I did ask if he was sure and he ate it all without complaint. Mr 8 was too chicken to give it a go and Miss 17 was having dinner at a friends house so I had the pleasure of having most the tuna for myself. Mr 6 only complaint was that he doesn&apos;t like beans and if I expect him to eat it again to be sure he doesn&apos;t get any beans. I was expecting to feel a bit of heat but found that it was rather mild and I would eat it again. My only complaint is that a few hours after dinner I found that I had a bad case of the burps and the after taste is not pleasant. I would buy this again for a quick, easy and tasty meal just not on a night that I don&apos;t have to work the following day. 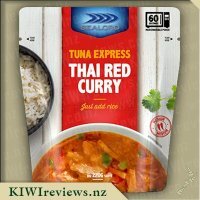 After already trying one flavour of the new tuna express pouch packs I was looking forward to my lunch today. These packs are awesome for in a hurry lunch meals, as take 60 seconds to heat up and they are tasty. I added my Sealord Tuna Express - Mexican Salsa in a bowl with avocado and sour cream. A real yummy quick and easy lunch meal which I found kept me full and was satisfying. 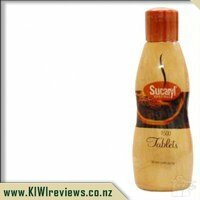 I also like the no mess and no fuss pouch, it makes life easier when you do not have the time to muck around. 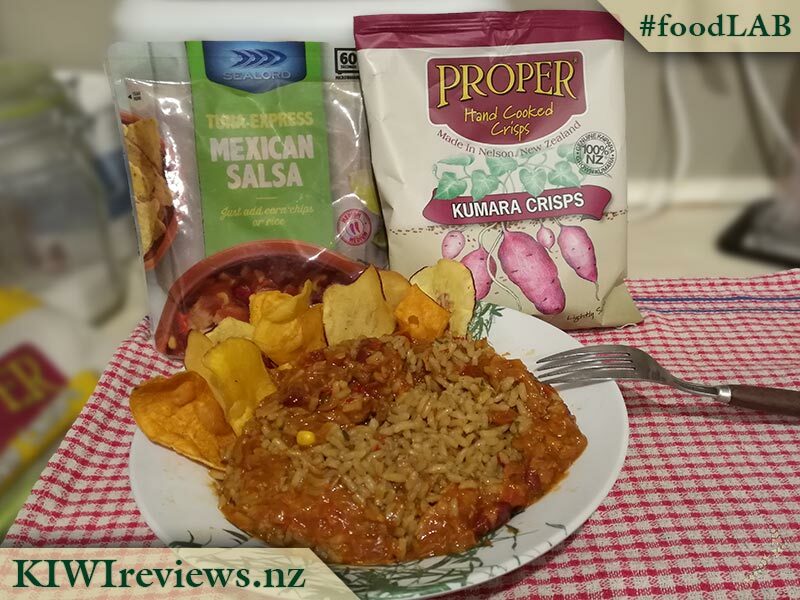 I really enjoyed the flavour of the Mexican salsa and thought the texture was great. I really loved the salsa side of it how the capsicum chunks, sweet corn and chilli beans were through the tuna. I also loved how these sauces are thick and not runny or too much liquid to them. The thick sauce blends well and when heated does not change the mixture at all. 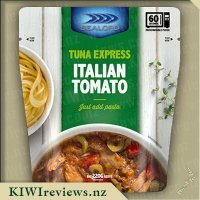 I think these are so great and the best value for money, when I was quickly eating mine I was thinking how nice these would be to make tuna nachos with and how cheap it would be for a meal to feed myself and my son. Just add some corn chips and sour cream and cheese. 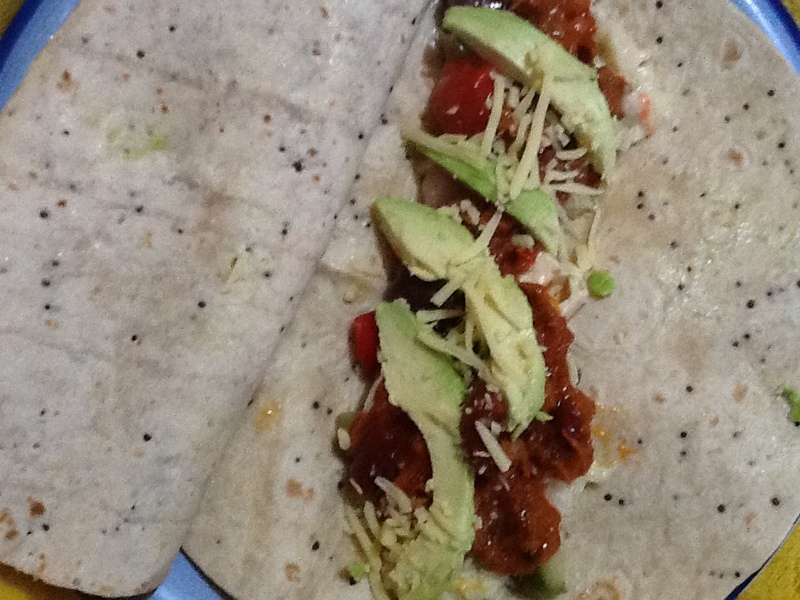 I liked the spiciness of the Mexican salsa tuna and the chilli beans were a great hit with it. I think the sour cream softened the heat a bit which I enjoyed. 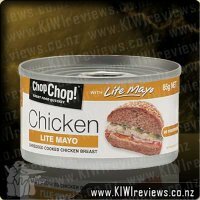 I really like the chunks of tuna you get in the packs and the flavours blend well together. I am looking forward to trying the other two flavours I have. These packs would be ideal to have stocked up in the cupboard for those in a hurry lunches or for nights you get home from work late and do not have time to cook. I ate one of these packets over the course of two days - once hot and once cold - and I am not sure which I preferred. They were both delicious. Having registered that this was a salsa product and therefore potentially spicy, I tasted it first to check out the heat scale. It was just right - not too hot, but with enough spice at assure me that it was certainly hot enough to qualify as real salsa. In fact, after the first medium spicy effect, there was a sting in the tail once it had been in my mouth for a few seconds. It suddenly got hotter! I tried it two ways because I wanted to see just how versatile it could be. The first time I put it into a wrap along with some cole slaw, leftover Greek salad, avocado, grated Edam, and a sprinkle of Mrs Rogers Smokey Chipotle Salt and served it cold for dinner. It was stunning - I thought I would eat one wrap but it was too good to leave so I finished the other one as well. I would never have thought of serving tuna cold in this way, but I already had an open pack of wraps and some salads in the fridge so it seemed logical to combine them. And what a combination! Coupled with that was the ease of preparation: two minutes from start to finish, and half of that time was spent in opening the tuna pack and decanting the contents. There was some tuna left - these packets are deceptively large - so I served the remaining third for lunch next day. This time I heated it and served it on its own on halved cheese muffins. This was quite a different taste combination, but just as satisfying as the first. I am impressed that it was possible to make two meals (well, three if I had not eaten that second wrap!) 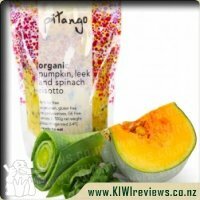 out of one inexpensive packet, and be sure that the result is both quick to produce and nutritionally sound. 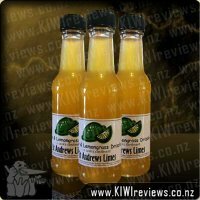 I can&apos;t wait to try the next flavour in the range. I do like me some Mexican cuisine... food with a bit of a bite is always high on my list of dishes to try, and tuna being my all-time favourite fish... well, this was one I really wanted to wrap my laughing gear around. I have to say though, tuna and salsa is hardly the first pairing I would have thought of, so there was a hint of doubt... but this turned out to be pointless, because this was delicious! After heating the pouch up, I was surprised to see that the sauce was still quite thick - a fact I count as a positive for me since I like soups to be soups, and this wasn&apos;t supposed to be a soup. So, thinking I should go the whole hog, and knowing I had a pack of Kumara crisps that needed to be eaten, I decided to make a wacky variant on Nachos. A quick nuke-up of some 2-min Mexican-style rice and a 30 burst to reheat the tuna, and I had the makings of a fine dish indeed. A sparse application of crisps for the photo, then a far more liberal application prior to tucking in, and this turned out to be a stunning little dish shared between me, myself and I. Seriously, I doubt I could have shared this with someone after I had the first mouthful. This being the second of the Tuna Express pouches I had tried, and both times finding that the first bite had me determined to finish the plate myself... I&apos;m starting to see a pattern forming with these pouches. I have to admit a little secret here... well before the public announcement, I was aware that Sealord had brokered a partnership with TerraCycle to recycle their pouches, so I already knew these were as eco-friendly as they possibly can be. (No, biodegradeable plastics are NOT suitable, because they can&apos;t survive the cooking process needed to make the contents shelf-stable.) This raised my estimation of the brand overall, and these products in particular. Prior to that, I always felt better about eating canned products over pouch ones. Overall, this is another flavour I plan to stock the pantry with. One of these pouches and a pouch of 2-min rice make a meal for one hungry adult or two kids for under $5... and that&apos;s pretty good value these days. Imagine doing this up for lunch at work... beats half-squashed sandwiches any day! 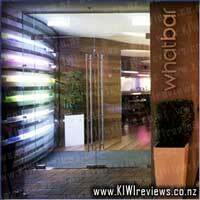 Drizzle over fresh fruit, ice-cream and dessert cake, or sneak it into a glass of champagne. Marinate salmon steaks or splash it over pan-fried fish. Try drizzling over chicken breasts before cooking or slap it into stir-fried vegetables.